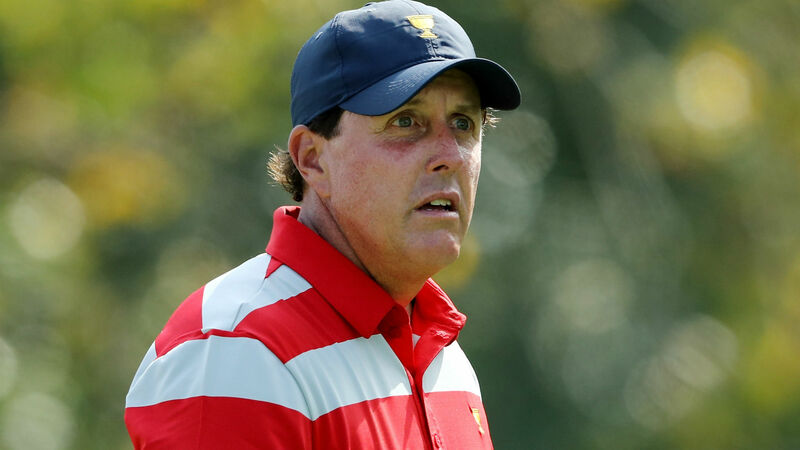 No golfer has played in more Ryder Cups than Phil Mickelson, and he’d like to extend his lead. Mickelson, who played in his 12th straight Ryder Cup this week in France, has now played 47 career matches after going 0-2 at Le Golf National. Though Mickelson, 48, needed a captain’s pick and then struggled, he’d still like to be on the team in 2020 when the competition heads in Whistling Straits in Wisconsin. “I’m motivated now to work hard, to not go out on this note, and I’m motivated to play well these next two years to get back at Whistling Straits and to show what I can do in these events, because this week was not my best,” Mickelson said Sunday. “I was not playing my best, and I spent more time hitting balls throughout the week than I have all year trying to find something that would click, and it’s just been a struggle. While Mickelson is determined to fight for his place, he realizes he may have just played his last team event for the United States. “It’s difficult to talk about it because it means so much to me over the years, and I did not play well this year. This could very well, realistically, be my last one,” Mickelson said. Mickelson finished the week 18-22-7 overall in Ryder Cup play, with his best session coming in singles matches.